Two Philippine teams will be taking home at least $500,000 (Php26.7 million) from The International 2018, a global Dota 2 tournament run by game developer Valve Corp. Both Mineski and TNC Predator bowed out of the competition’s main event as Mineski placed in the 9th-12th bracket while TNC Predator ended in the 13th-16th bracket. However, for making it to the main event, both teams are guaranteed a share of The International 2018’s prize pool, with Mineski getting 1.5 percent of the total pool and TNC Predator going home with 0.5 percent. The International 2018’s prize pool is partially crowdfunded—25 percent of sales of a Dota 2 Battle Pass, which grants players exclusive in-game features, are added to the initial prize pool of $1.6 million, which was funded by Valve. This means that the final earnings of all participating teams will only be determined by the end of the tournament. As of August 23, The International 2018’s prize pool stands at $25 million, said to be the largest in eSports history. That means Mineski is already going home with a guaranteed $374,796 (Php20 million) and TNC Predator with $124,932 (Php6.7 million). Both teams trace their origins to two leading internet café chains in the country. Mineski is one of the teams handled by Mineski Infinity, which runs a network of over 140 cybercafés in the Philippines and three other Southeast Asian countries. TNC Predator is under TNC Cybercafé, which similarly operates over 100 branches in the country. Both businesses are in the forefront of the country’s eSports industry, which has started to gain traction in recent years. 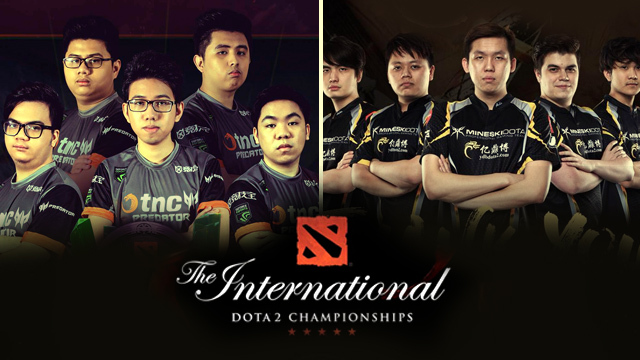 International tournaments for Dota 2 and other popular video games have already been held in Manila, while Mineski and TNC frequently sponsor local tournaments to promote eSports and professional gaming across the country. Which Infrastructure Projects in Metro Manila May Push Up Prices of Nearby Land?